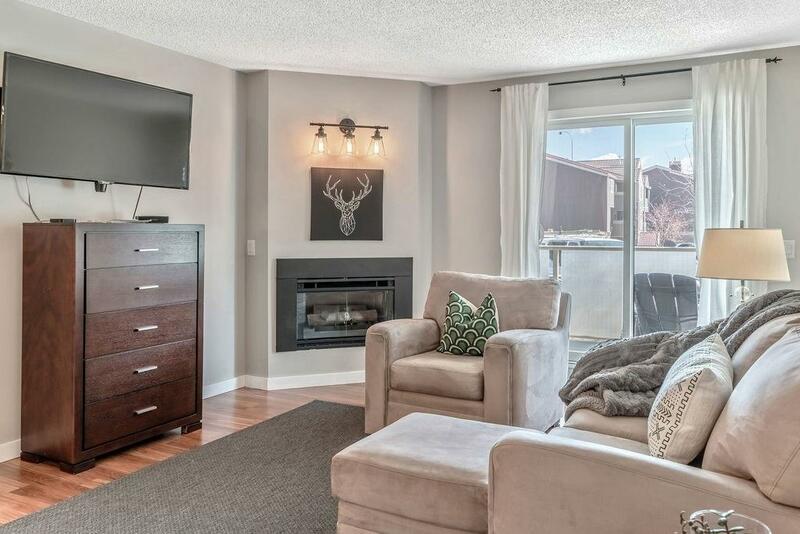 Welcome to this stylish UPDATED condo in prestigious Edgemont! Rated by AVENUE MAGAZINE as one of Calgary's best communities . Perfect for the FIRST TIME home buyer or INVESTOR. 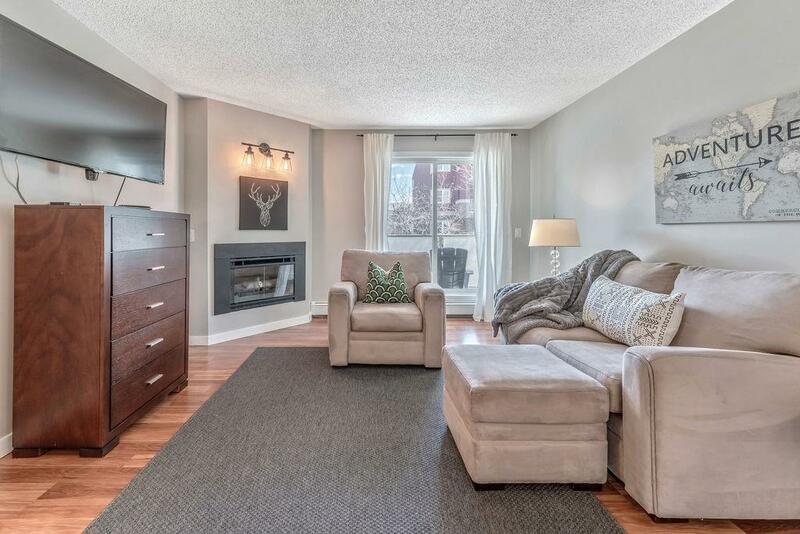 This well cared for home has undergone recent UPDATES for your enjoyment. Just move in! UNIQUE layout is spacious and inviting. Freshly painted throughout in warm NEUTRAL tones. 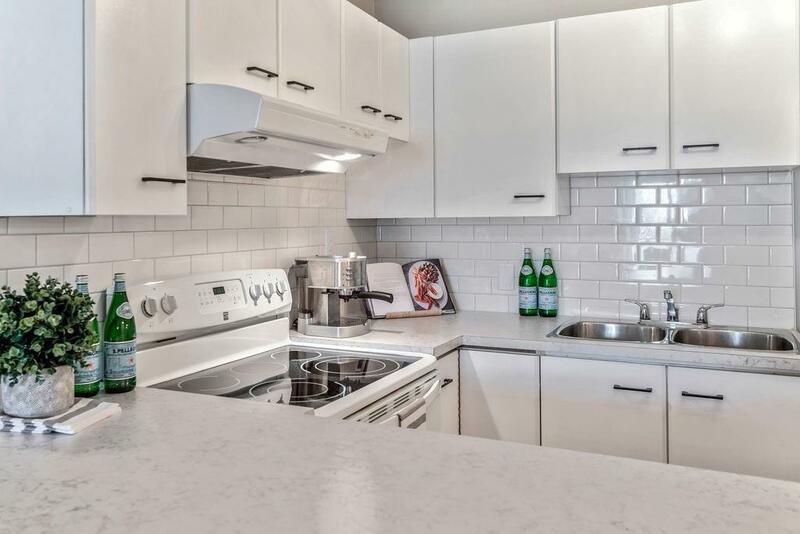 BRIGHT white kitchen features NEW countertops, subway tile backsplash + eat up bar. OPEN CONCEPT living at its finest! LARGE master bedroom includes oversized closet + room for a king size bed. Bathroom is functional and features trendy NEW bathtub tiles + clean white vanity. 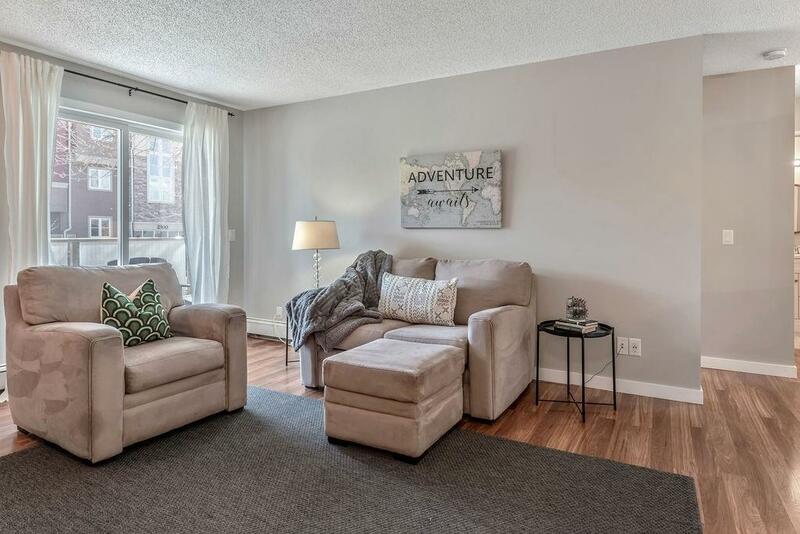 Topping off this MOVE-IN READY unit is IN-SUITE LAUNDRY, LARGE SUNNY BALCONY, PARKING STALL + YOUR OWN GARAGE. A very WELL RUN COMPLEX with onsite management, updated amenities building, POOL, HOT TUB + FITNESS CENTRE. Situated a block from NOSE HILL park, and mere minutes to STONEY TRAIL, transit, grocery stores, schools, U of C and endless serene pathways!